It is the reason I was not able to participate in Diabetes Awareness Month this past November. This diagnosis, for me, is a million times worse than my Type 1 diabetes has ever been in 30 years! And no, I am not saying Type 1 diabetes is a walk in the park by any means! It is incredibly hard and frustrating and all the other difficult words you could think of. And I’m sitting at a 284 right now…. Ugh! I certainly still don’t like diabetes. Anyway…… this is the reason why I’m starting to be able to reintroduce foods on the AIP that previously made me very sick and unwell. And….. last night I had sunflower butter!!!!!!!! 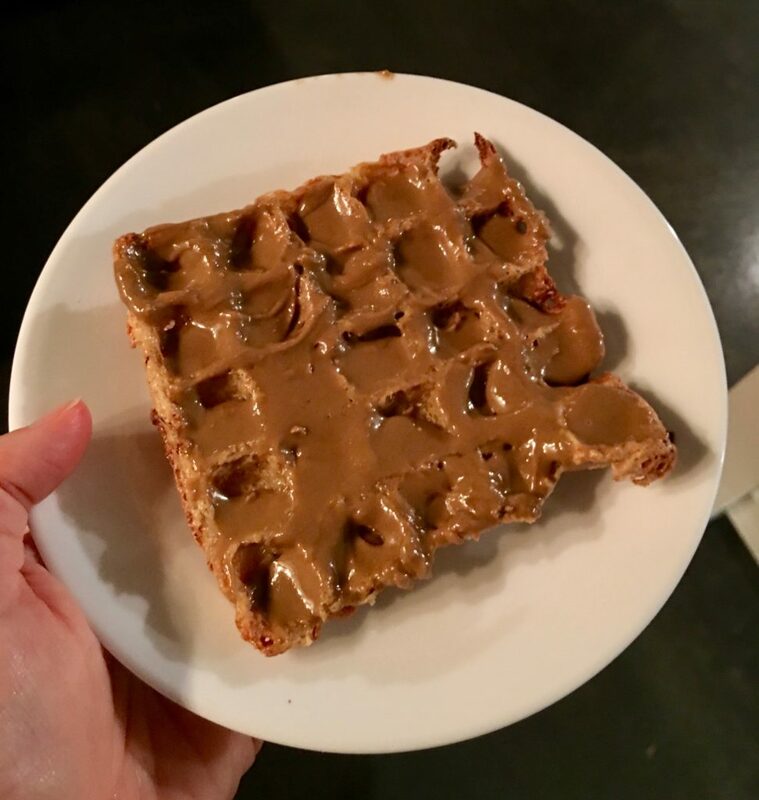 I pulled out of the freezer one of the plantain waffles I made recently and topped it. It was so delicious. This morning I gave Jaim a big hug after I gave him the good news. He was already in bed sleeping when I had this late night snack after a women’s group I attended. Very happy and pleased. And I just wanted to share. Don’t quit trying to find your root cause. Don’t give up on feeling well despite the 101 setbacks. It’s always, or at least very often…. one step forward and two steps back. And I celebrate the hell out of these steps forward.